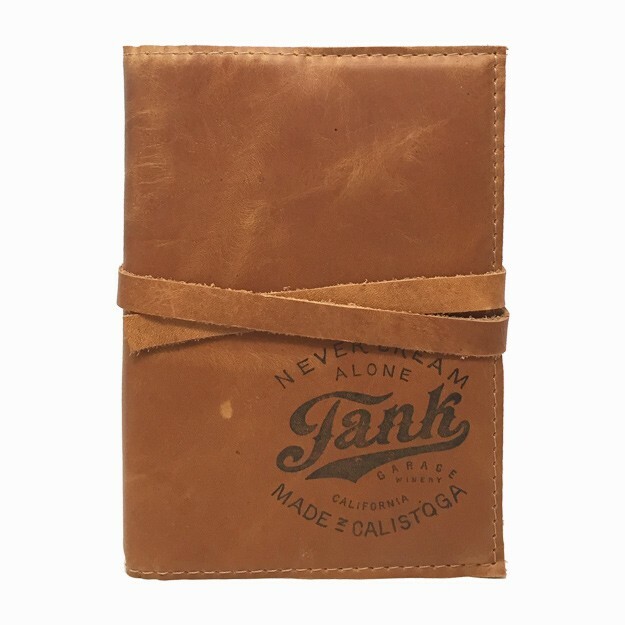 Handmade and hand-printed leather journal with leather strap. The inserted journal is removable/replaceable. 7" tall and 5" wide. Love sketching, journaling, writing down quotes in my new leather bound Tank journal. I think of my trips to Tank and CA every time I pick it up.